Since the success of the Mandala maker, I’ve been pumping out a ton of features, improvements and bug fixes. They are too numerous to list but a few stand out. 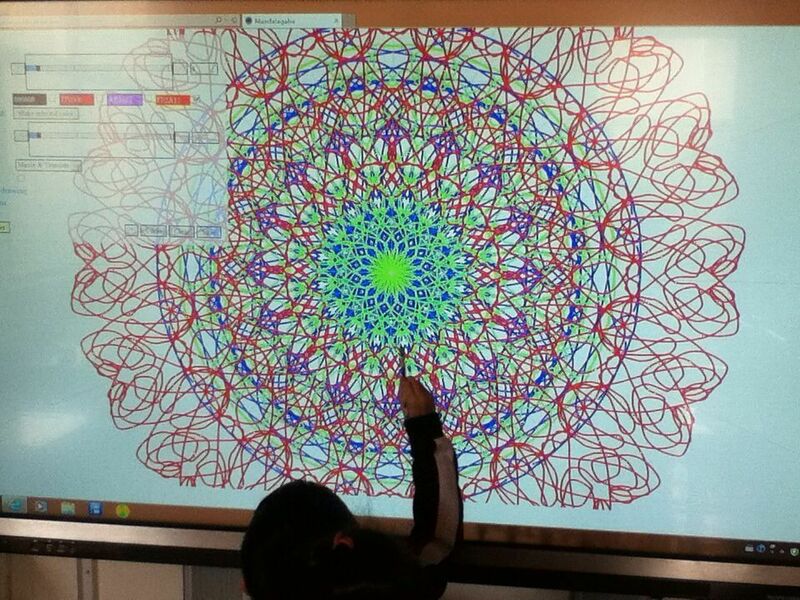 Collaborative editing using websockets for drawing mandalas with multiple people on the same session. 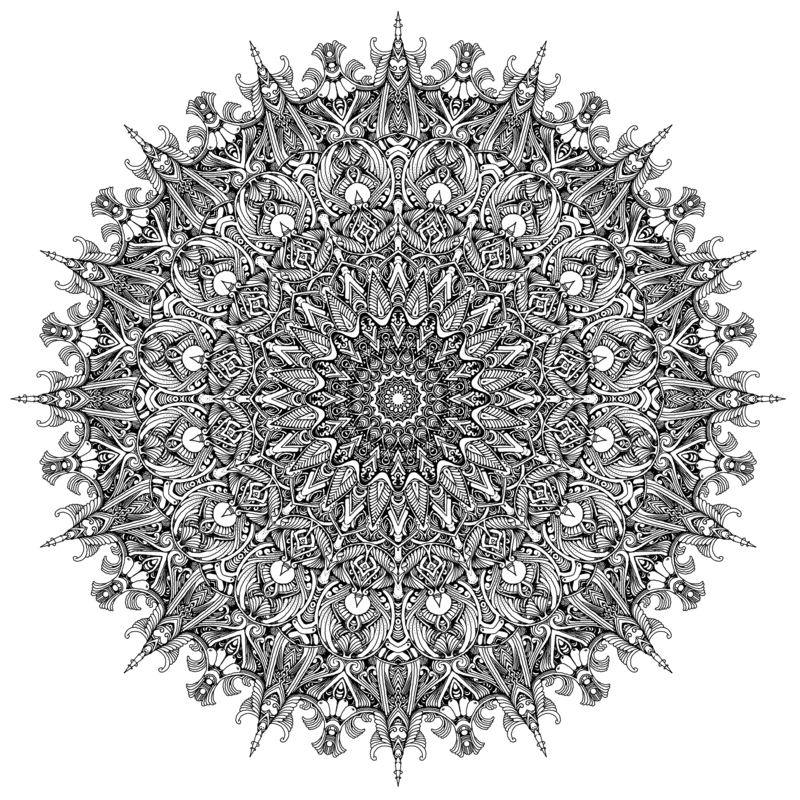 Drawing without mandalas, there are only so many Mandalas one can collaboratively draw and so I created http://draw.akrin.com which leverages all the Mandalagaba goodness for drawing and removes the mandala specific layer. Read only mode guided by artists who like to livestream their drawing, I created a read-only mode to the collaboration. This way, people can watch but not participate. High resolution renders are possible for $2, the charge helps with server costs and makes it a bit fairer if one was going to make money using the tool. Not visible but noteworthy nonetheless, an intricate server strategy was put in place to alleviate future waves, load balancing had to be built from scratch because of the collaboration layer. 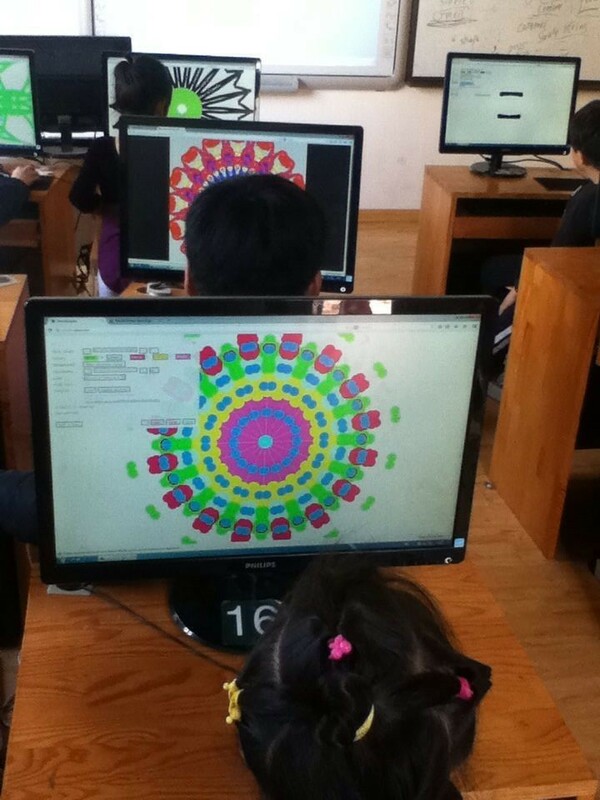 The mandala maker was deployed on big touch screens which turned it into a more social activity much like arcade games. Here’s draw.akrin.com: Click to pop out. 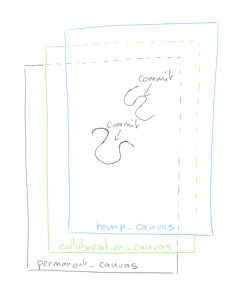 For a while I’ve been polishing a way to have not only a smooth drawing/writing algorithm for HTML Canvasses, but also have it be “streamed” over the network for live collaboration. While the work has been mostly integrated into projects such as Mandalagaba, here I present it in its most basic form so that it may be dissected. Draw by dragging your mouse/finger/stylus bellow, fire up another browser to test network repeat. Canvas is used by others online (sorry for anything obsene the internet has left on it) and cleared every hour. edit index.html and replace all occurences of “ben.akrin.com” by the host/ip which is running your websocket server. 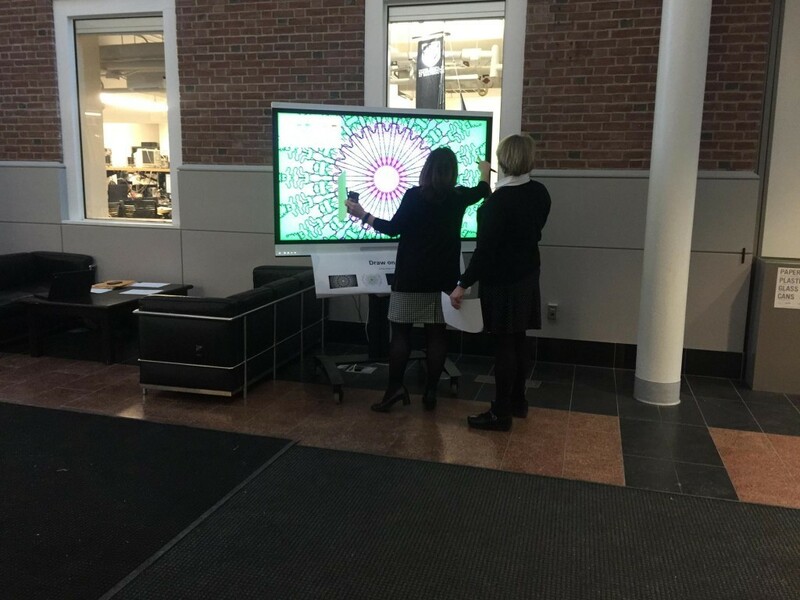 If you are testing on your computer, 127.0.0.1 will do. Alternatively, you can leave it set to “ben.akrin.com” and use my websocket server, in which case step 2 & 3 aren’t necessary, and you’ll have limited latitude as to how many changes you can implement. But it’s perfect for just trying & dissecting the code. you need 2 canvasses overlaid on top of each other (z-index is highly relevant here). 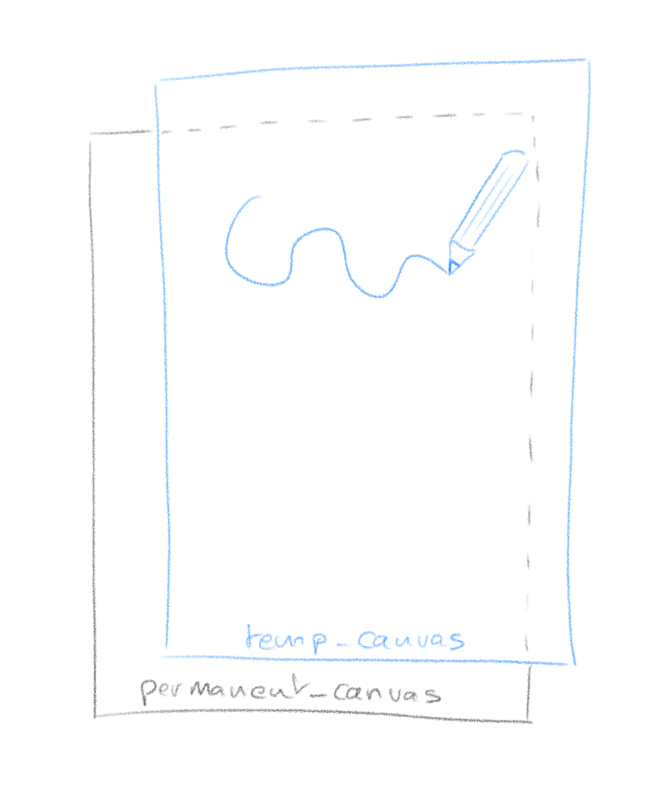 The way it works is that the top canvas is the one that you draw on. The reason for this is that a pen stroke is getting redrawn entirely every time new coordinates come in. This is because with quadratic curving, the final shape of a stroke is never fully known until all coordinates are. 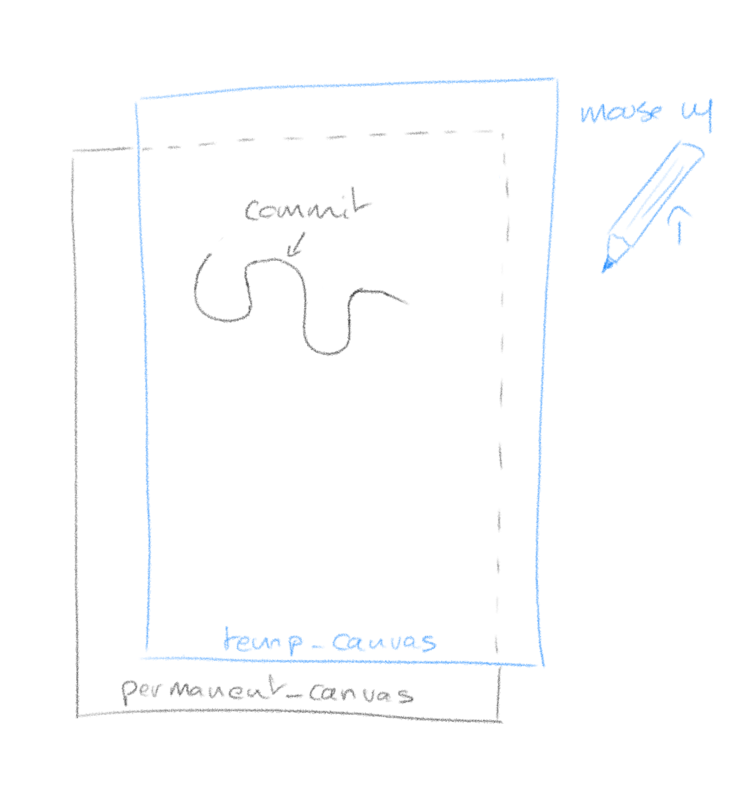 So every time coordinates come in (mouse move event), we clear the temp_canvas and redraw the whole stroke. The operation happens fast enough that it is invisible. 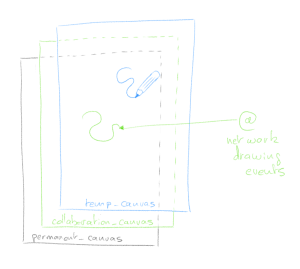 When you are finished with your stroke (mouse up event), the temp_canvas is cleared and the whole stroke is committed (redrawn) on the permanent canvas. 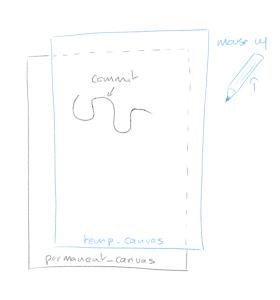 Here is how we add network streaming to the pen strokes. Emitting your pen stroke to other clients is easy, you simply blast your current coordinates to a websocket which will repeat it to other clients. 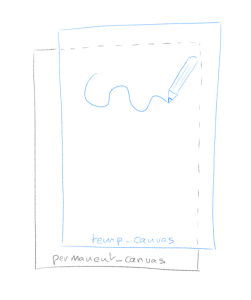 When you receive coordinates from other clients though, you can’t use temp_canvas to render them as it might conflict with your current drawing. 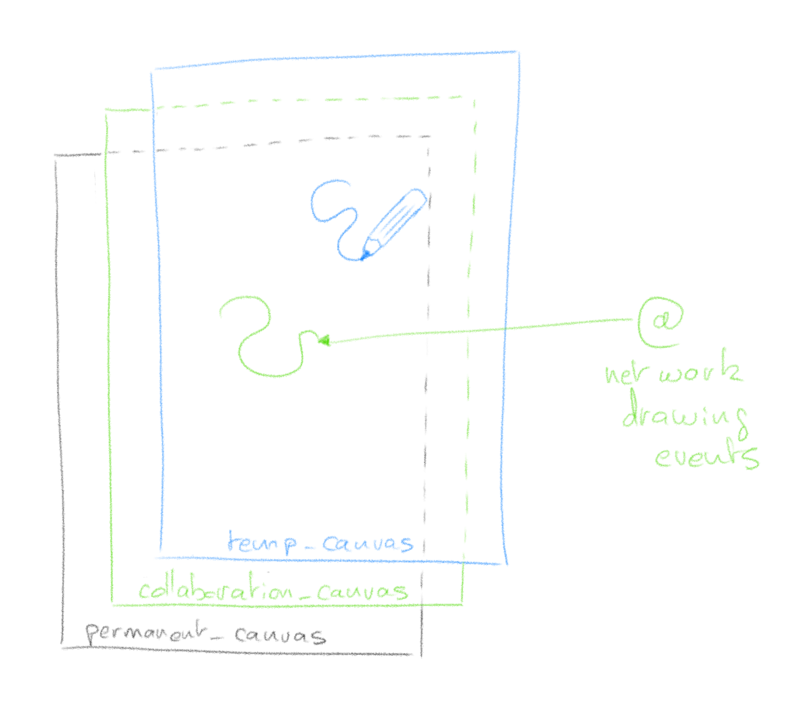 To this effect we add yet another canvas between permanent_canvas and temp_canvas which will render network events. 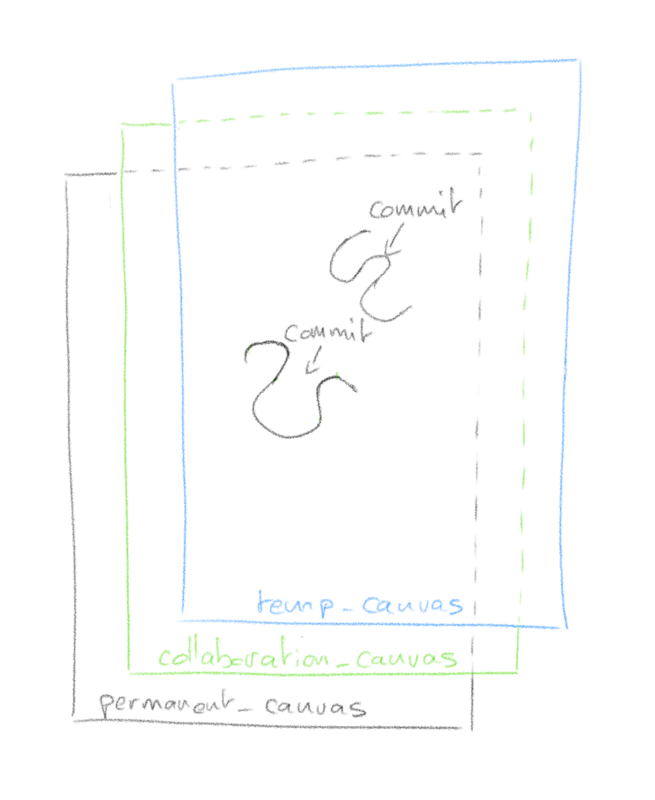 Much like temp_canvas, collaboration_canvas is meant for temporary rendering and when other clients finish their pen stroke (mouse up), the instruction to commit to the permanent canvas is sent through the websocket. It’s hard for me to document every step of the code; I don’t know your coding level, it’s asynchronous and has lots of bits & pieces which serve specific purposes. I hope however with the basic theory explained, and the code boiled down to its essentials, that you can dissect it easily. Feel free to use the comments section for questions. Using Ace‘s excellent API, it is relatively easy to enhance it to allow for live collaborative editing. The gist of what we’re doing here is to use Ace’s API for extracting and applying delta when changes occur in the editor. Then we simply transmit them over a websocket that all clients are connected to. This example is functional but in no way comprehensive to what a full code editing collaboration could be. It’s meant to be simple thus understandable. It’s a great starting point for whatever other pieces of functionality you want to send across web sockets. Following is the Node.js websocket server which must be instantiated on the same server serving the web page above. It needs to be up for the page above to work. Make sure to have port 1337 open in the same capacity as ports 80 & 443, this is what this listens on. // not in memory but is is on the filesystem?